Parking was about 30 feet away and nearly worth the cost of the room by itself! The host was very friendly and accommodating, and was helpful regarding the room and events around town. The rooms were funky in shape but roomy enough. Nice small garden for breakfast. Good bath and shower. The suite was spacious and they had coffee, yogurt, and other little treats there waiting for us in our room. 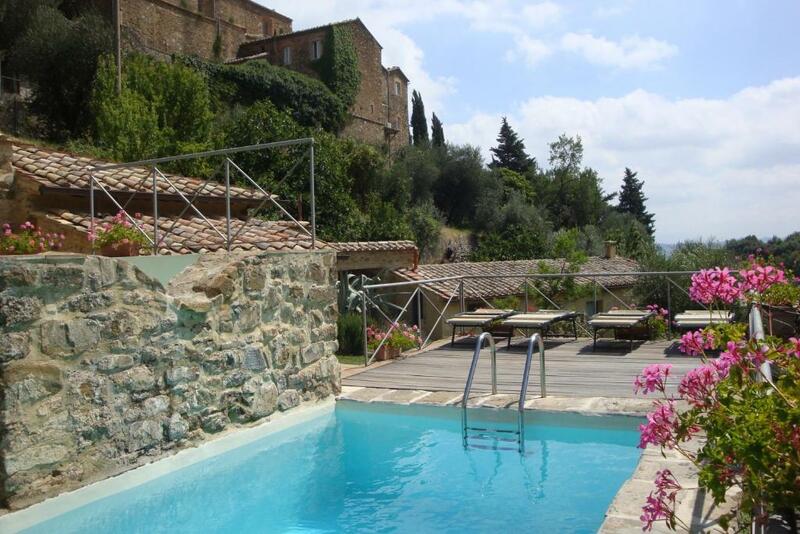 Great location for enjoying the beautiful town of montalcino. Tranquil gardens , plenty of privacy for the apartments. Loved the dipping pool. We fell in love with this beautiful property. The apartment is situated in a stunning garden, in which we had our breakfast and dinner. It also contains a nice swimming pool. 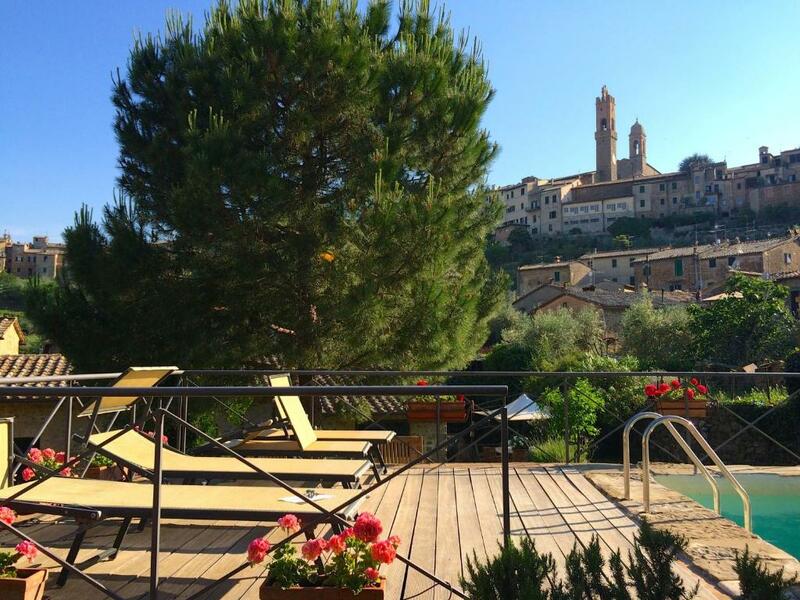 The breathtaking views of the tuscan landscape are a big plus. Also, Elena and Andrea are really nice people, who were very helpful and responsive to our questions. 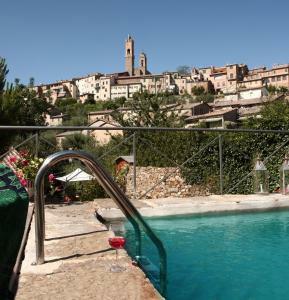 Montalcino itself is a charming little village which, of course, is known for its brilliant wines. Situato tra le colline di Montalcino, piccoli appartamenti in mezzo al verde con piscina. Da sfruttare almeno una volta il giardino per una cena e per stare isolati dal mondo. 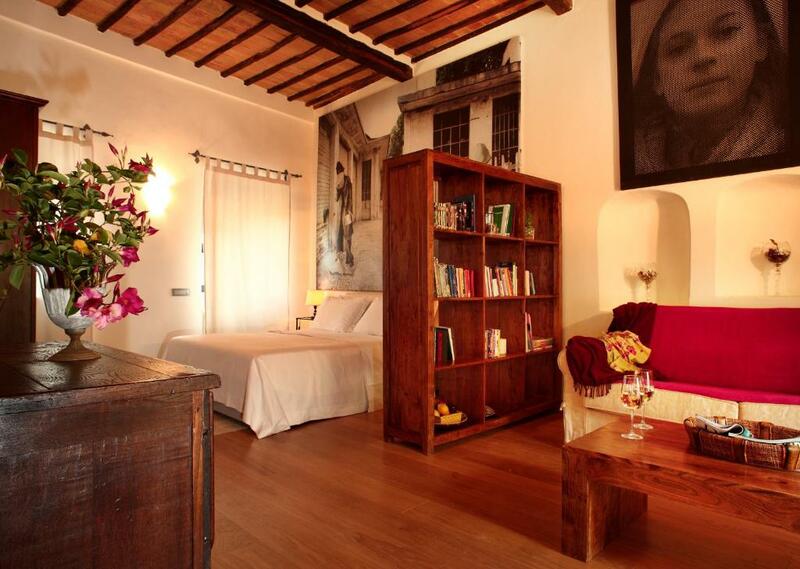 Lock in a great price for Suite d'Artista – rated 9.1 by recent guests! 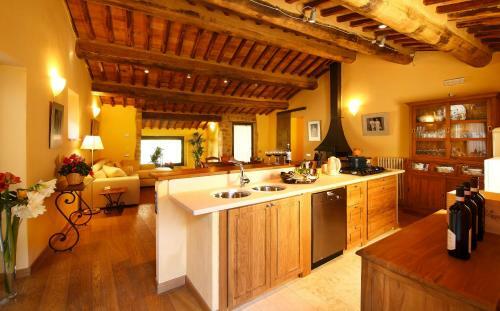 A beautiful rustic country house, Suite d’Artista is set inside the ancient walls of Montalcino, in the Val d’Orcia area of Tuscany. It features a garden with swimming pool, hot tub and Turkish bath. Surrounded by olive groves, Suite d’Artista offers self-catering accommodation in various sizes, all with contemporary artwork. 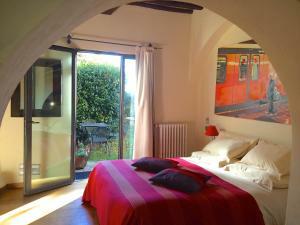 Each unit includes free Wi-Fi, a flat-screen TV with satellite channels and garden views. 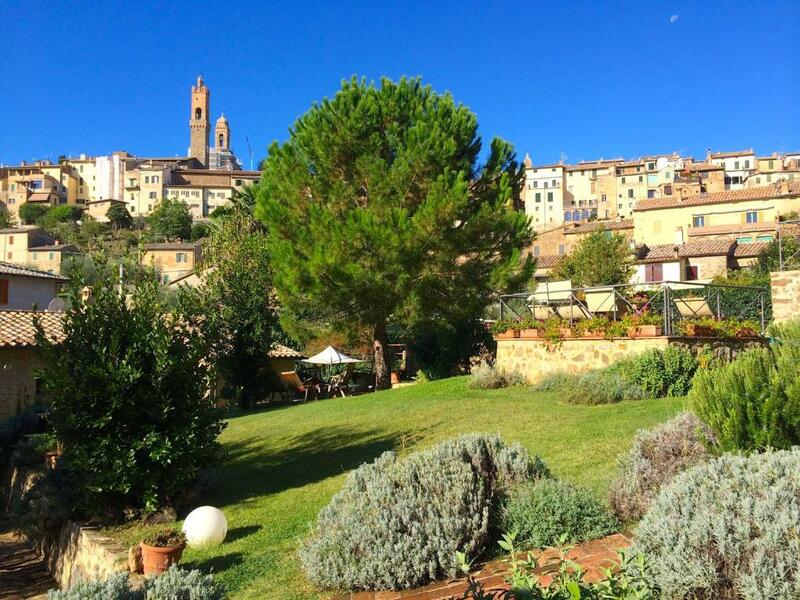 Pienza is 13.7 miles away, while the property is a 45-minute drive from Montepulciano, a town famous for its red wine. When would you like to stay at Suite d'Artista? The only place inside the historical walls of Montalcino with a large panoramic garden and a pool which in the old times was a tannery. 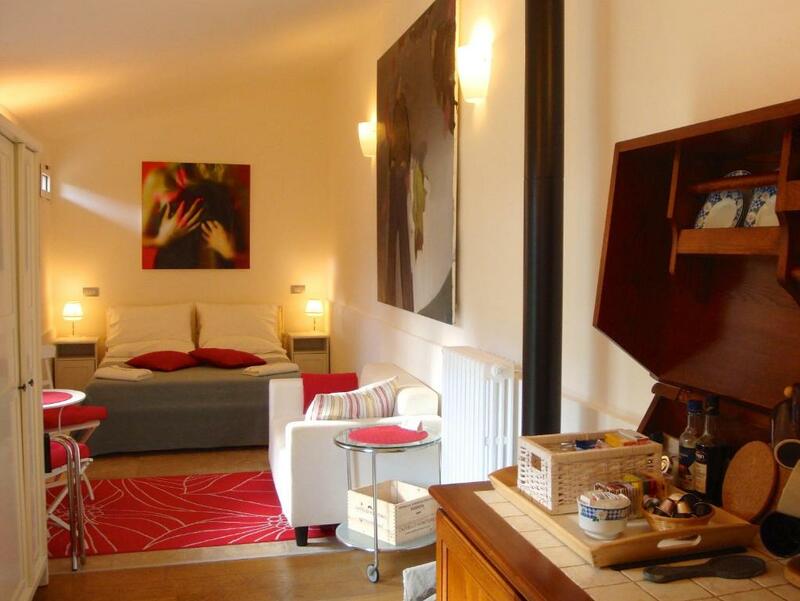 Five characterist apartments, each containing unique pieces of contemporary art. Enjoy the convenience of staying in town while feeling the peacefulness of the countryside. Nestled in the lower part of Montalcino, very peacefull and panoramic, and only 5/10 minutes walk from all the shops, restaurants & cafés. House Rules Suite d'Artista takes special requests – add in the next step! Suite d&#39;Artista accepts these cards and reserves the right to temporarily hold an amount prior to arrival. Suite d'Artista accepts these cards and reserves the right to temporarily hold an amount prior to arrival. Please inform Suite d'Artista of your expected arrival time in advance. You can use the Special Requests box when booking, or contact the property directly using the contact details in your confirmation. We struggled with the coffee maker (a Moka Pot) and the toaster. LOCATION HARD TO FIND..Dont worry if you get lost. Call the helpful owners. The quietness of Montecito and all the wineries! The only thing I can think of is it is at the bottom of the hill. I liked it because it was good exercise, but some people might struggle with the climb. The road into the village is a bit steep and maybe too much for the elderly but otherwise I can not think of anything.